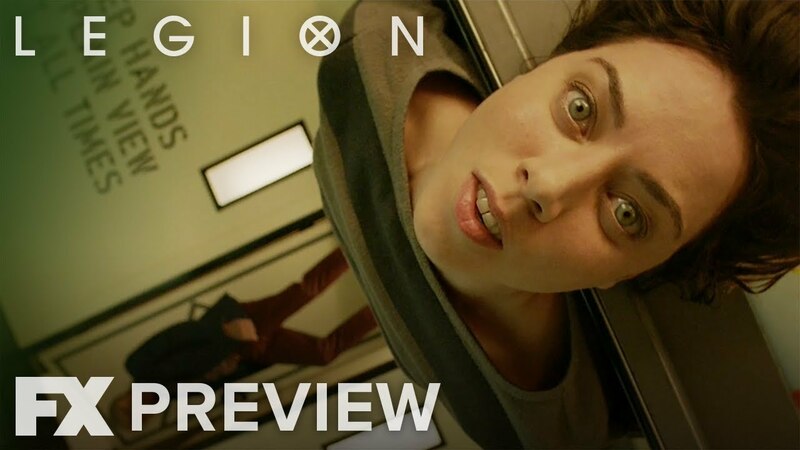 'Legion' Takes Its Body Horror to Insane Places in "Chapter 13"
Since the beginning of Season 2, Legion has obsessed over Amahl Farouk’s original body, and these days he’s getting closer than ever. Between all the body-swapping powers of Sydney Barrett and the body-sharing powers of Cary and Kerry Loudermilk, coupled with the Shadow King’s habit of disintegrating bodies to ash with a flick of the wrist, Legion dabbles in body horror as much as it does psychic mutant powers. But the latest episode pulls a sickening twist of body horror that has everything to do with Lenny’s reappearance last week in a physical form, one that’ll haunt viewers — and David — for a long time to come. Tuesday night’s “Chapter 13” spends a bewildering hour of television unraveling exactly how Lenny got her body back, with everyone asking, “Whose body is that?” We’re led to think for most of the episode that the Shadow King finally found his body, which seems awfully early in the season for that kind of game-changer — and that Lenny’s reappearance is only tangentially related. These days, however, it’s not his own body that Farouk is after. It’s Lenny’s original body. We first saw Lenny's original death way back in the first episode ever of 'Legion'. We first saw Lenny’s death way back in the series premiere. David had kissed Sydney, causing them to swap bodies. Overwhelmed by David’s abilities and the presence of the Shadow King, Sydney accidentally phased Lenny halfway through a wall and wreaked havoc on Clockworks. So what does the Shadow King want with that body? Amahl Farouk has Oliver retrieve a device that looks like an old-timey video recorder, but using it, he extracts a piece of her dead body. Then he tracks down David’s adoptive sister, Amy, and somehow uses the device to morph Amy’s body into a new body for Lenny, also transferring Lenny’s consciousness at the same time. The entire sequence is utterly disturbing and immensely uncomfortable, doubly so because we watch Oliver Bird perform the “procedure,” who is himself an instrument possessed by the Shadow King. Essentially, the Shadow King killed David’s sister to revive David’s best friend, which is pretty much the most insane thing he could have done, all to just mess with David. So whatever happened to their uneasy alliance? Rest assured, if anything’s going to get David to finally attack the Shadow King outright, it’s going to be this. But how could that impact the coming apocalypse? We’ll see. Legion airs Tuesdays on FX at 10 p.m. Eastern.